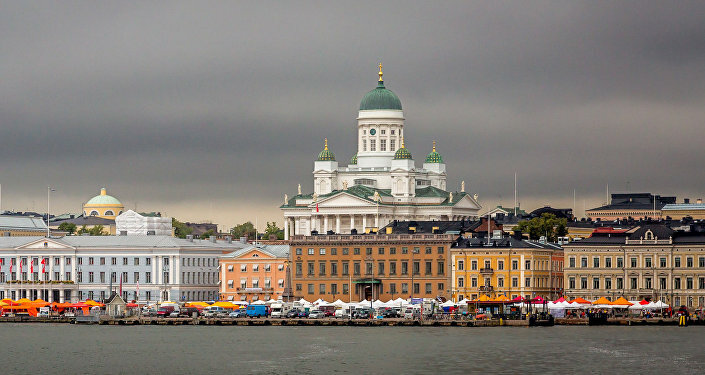 HELSINKI (Sputnik) - A 15-hour general strike on Friday over state sanctions for reluctant jobseekers looks set to paralyze the capital of Helsinki and several other cities across Finland. The strike from 3 a.m. to 6 p.m. will affect many economic spheres, most notable transport, and involve up to 10,000 people. The Helsinki regional transport authority HSL said metro, tram, and most of bus traffic would be suspended, but trains, including suburban ones, are expected to run as usual. The Central Organization of Finnish Trade Unions (SAK), a confederation representing a million people from all walks of life, said the new employment incentive scheme was "unreasonable." The employment plan that came into being this year cuts jobless benefits for those who fail to find work over a three-month period. However, SAK has argued that work is not equally available across the country.